A Miami Herald article reported that singer Phil Collins paid a whopping $33 million for a Miami Beach mansion owned by J.Lo over 10 years ago (the home changed hands between these two transactions). “The 12,150-square-foot villa at 5800 North Bay Rd. includes 200 feet of Bayfront property, a wine cellar, a summer kitchen and a pool,” according to the article published last week. Who doesn’t love Pharrell Williams? 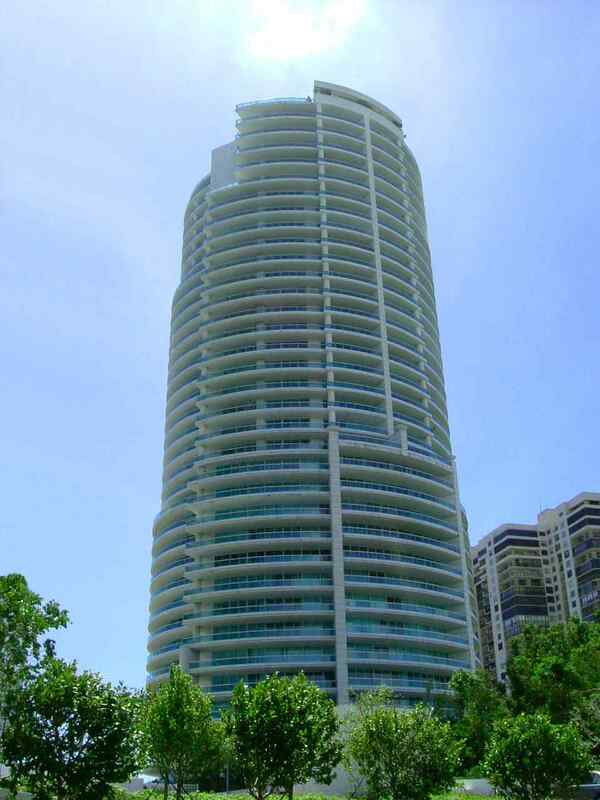 With his success from The Voice and his mega hit, Happy, he has owned his 40th floor Brickell condo since 2007. Even though he tried to sell it for $16.8 million, he pulled it off the market in 2014. Bristol Tower is a Brickell condominium built in 1993 that sits on the Bay with the most amazing amenities and even better Bay and city views. Granted Williams’s condo was a 10,000 square foot penthouse with its own private pool and every bell and whistle that is expected in such a residence, the most expensive unit sold at the Bristol Tower in the last three years was a penthouse residence on the 39th floor for a little over $3 million. Currently there are 13 listings with list prices starting in the mid-$800s and climbing to almost $6 million (FYI – the most expensive listing has been on the market for almost a year). Of course Gloria Estefan lives in Miami – how can the lead of the Miami Sound Machine live anywhere else? 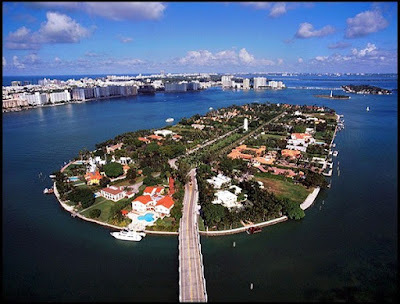 Her home with husband, Emilio Estefan, is on Star Island and is worth about $20 million (she bought it for $600K in 1986). They own a second home on Star Island that is used for guests that is listed at $40 million. Star Island is one of the most exclusive neighborhoods in all of Miami-Dade County and is home only 34 total residences many of which are owned by well-known people. Listings are few and far between; in fact, Gloria Estefan’s second residence is the only listings except for a $19 million lot also listed for sale. In the last three years, five homes have sold (one of which was Rosie O’Donnell’s -- $16.5 million) with the most recent sale in 2014 selling for over $28 million. It is a sore subject but none the less, it is worth talking about simply because of the house. When LeBron James signed to play with the Heat, he bought a $9 million estate in Coconut Grove. Now that he has gone back to Cleveland (enjoy the snow - not), his home in Crystal View is up for sale and listed for $15 million. It finally has a pending offer after dropping the list price by $2 million. This home is its own compound that sits on a half-acre facing Biscayne Bay. The other homes in this small Coconut Grove neighborhood listed for sale between $1 million and almost $4 million (diagonally across from James’s home). Phil Collins bought an absolute show stopper of Miami Beach real estate. Built in the 1920s, this home is located in La Gorce Country Club on North Bay Road. It sits on Biscayne Bay with the most unbelievable water views and views of the Miami skyline. In addition to a magnificent home, it features a new dock and sea wall, a 20,000-lb boat lift, two Jet Ski lifts, 200 feet of Bayfront views, and tons of tropical and lush landscaping that surrounds a fabulous pool and outdoor kitchen. Mr. Collins and his guests must access the gated entry to enter the grounds and home (would expect nothing less). Properties in La Gorce Country Club typically start at over $1 million and climb to almost $40 million depending on the location of the property and the home itself – currently there are 17 properties for sale. Over the last year, there have been about 12 sales in La Gorce Country Club with the sale prices ranging between about $700K and $30 million (the one Phil Collins bought). Celebrities come and celebrities go in Miami but it is always fun to see what and where they buy. One thing for certain is they want a nice view and pay big for it. Whether brand new or remodeled with lots of character, if you see that one celebrity lives in a certain neighborhood, you can probably bet that there are others living around them.